Where is Music Composition Going? 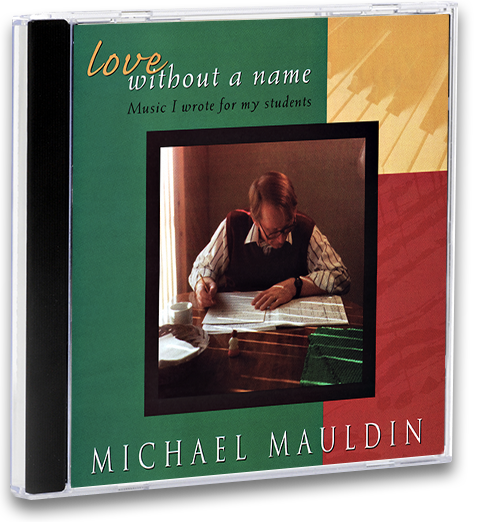 Excerpts from "Love Without a Name"
Michael Mauldin’s catalogue contains over 90 works, for students and professionals, from chamber music, orchestral and choral music, to pieces for harp, organ, guitar and piano. His music is tonal and accessible, yet distinctive and memorable. It often portrays the power and magic of the rugged beauty and ancient cultures of his adopted state of New Mexico. 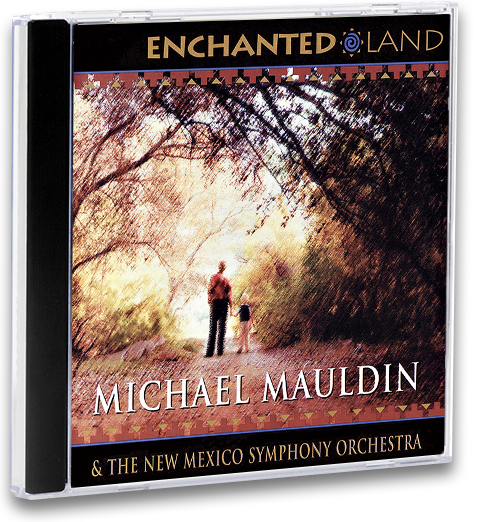 Tonal/modal, richly-orchestrated music, inspired by the sights, smells, shadows & grandeur of the scenic and spiritual landscape of New Mexico. The result of a collaborative effort between Mauldin and British harpist Andrew Lowings who constructed an authentic playable replica of the Gold Lyre of Ur. 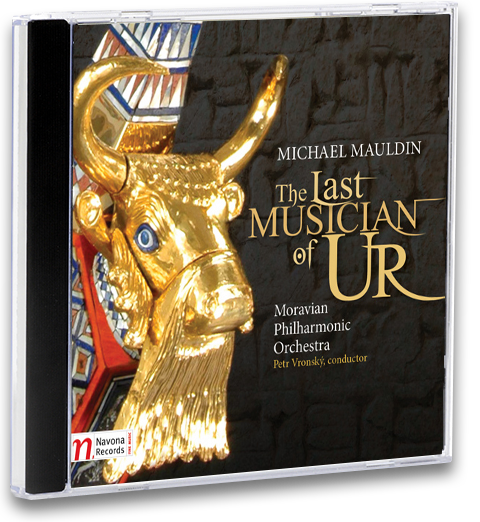 Composed with the Gold Lyre of Ur - the earliest stringed instrument ever found - in mind. Enhanced content available on navonarecords.com. 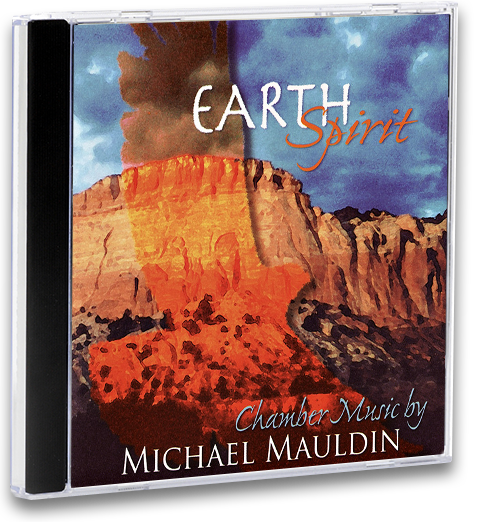 Refreshing piano, choral, chamber and orchestral music that is tonal, yet distinctive - inspired by the scenic and spiritual landscape of New Mexico. 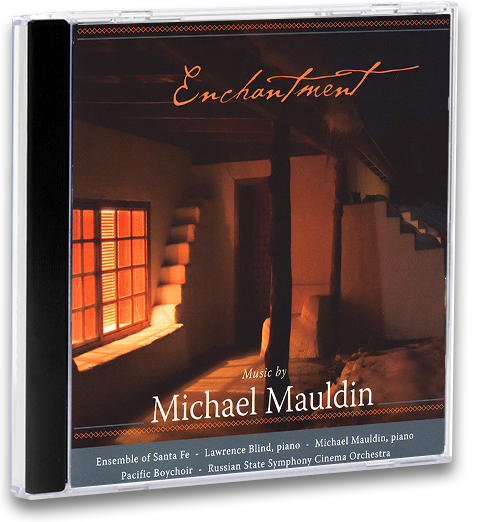 Thirty-four tuneful, colorful piano pieces, performed by Michael Mauldin, that he composed for his students, from elementary levels to graduation presents for high-school seniors. Wholly convincing tonal pictures, inspired by Mauldin's love for magical places where the spirit of nature and the spirit of man interact with mutual reverence. Extremists - Christian, Muslim, conservative, liberal, or whatever - delude themselves and us into thinking that they care about our souls, our rights, our welfare. As more people realize that the real goal of extremists is control, a 'radical center' is emerging, insisting on hearing multiple points of view. How truly American. Unlike editorial or artistic decision making, censorship of information and ideas, whether in the presumed interests of youth, civil society, or morality in general, is fundamentally contrary to a defining principle of our democracy: that state power should not be used to suppress speech considered subversive or immoral, thus leaving the government in control of all the institutions of culture, the great censor and director of which thoughts are good for us. It is precisely because this is so basic a principle that ‘harm to minors’ has become the primary justification for censorship and classification schemes in the United States. We do not believe in ourselves until someone reveals that deep inside us something is valuable, worth listening to, worthy of our touch, sacred to our touch. Once we believe in ourselves, we can risk curiosity, wonder, spontaneous delight, or any experience which reveals the human spirit. Is uniformity attainable? Millions of innocent men, women, and children, since the introduction of Christianity, have been burnt, tortured, fined, imprisoned; yet we have not advanced one inch towards uniformity. What has been the effect of coercion? To make one half the world fools and the other half hypocrites. It is the artists of the world, the feelers and the thinkers who will ultimately save us; who can articulate, educate, defy, insist, sing and shout the big dreams. Puritanism never dies; it lives to kill the freedom of the human spirit in the name of Christian orthodoxy. The life of the arts, far from being an interruption, a distraction, in the life of a nation, is close to the center of a nation’s purpose - and is a test of the quality of a nation’s civilization. Indeed, the sexual politics of fear is harmful to minors. The children are not faring well right now, and it may be that we’re protecting, denying, anaesthetizing, and scaring them nearly to death. A human being is part of the whole, called by us the Universe, a part limited in time and space. He experiences himself, his thoughts and feelings as something separated from the rest—a kind of optical delusion of his consciousness. This delusion is a kind of prison for us, restricting us to our personal desires and to affection for a few persons nearest to us. Our task must be to free ourselves from this prison by widening our circles of compassion to embrace all living creatures and the whole of nature in its beauty. Nobody is able to achieve this completely, but the striving for such achievement is in itself a part of the liberation and of a foundation for inner security. If you can find an environment where the attention is automatic, you allow directed attention to rest. And that means an environment that’s strong on fascination. The fascination factor associated with nature is restorative, and it helps relieve people from directed-attention fatigue. Hell is to look back at the dim, reproachful faces of those who loved us, those whom we betrayed. Religion is the only field where many leaders assume all truth has been revealed. …When people in the name of any religion claim to have the sole possession of truth, they have crossed the line from faith to arrogance… Those who practice rigidity and absolutism in the name of religion, whether simply by word or with arms, will not persuade. There is nothing wrong with loving our boys, and letting them and the whole world see that we do. It is not enough to love the subject we teach or the sound our choirs make. It is easy to be curious and controlling. But it takes effort to be compassionate, to avoid disconnection. To teach the whole child, we should love him, and that is a sacred act. Most often experienced in nature during formative years, ecstatic memories (ek statis - standing outside ourselves) of delight or fear, or both, are radioactive jewels buried within us, emitting energy across the years of our lives. They require space, freedom, discovery, and an extravagant display for all five senses, and they give us meaningful images, an internalized core of calm, a sense of integration with nature, and for some, a creative disposition. The doctrine of rewards and punishment in the after life became a powerful tool in the hands of men who exploited it in their own interest, making it a source of revenue and power. Genuine progress is not the rebellion of the present against the restrictions of the past so much as the breakout of the vital past, through the dead habits, expectations, and routines of the present, into a future that is a rebirth of the past in a new and unpredictable form. You were created to be completely loved and completely lovable for your whole life. Time cannot blemish your essence, your portion of spirit. But if you lose sight of this essence, you mistake yourself for your experiences. All of us must discover for ourselves that love is a force as real as gravity—it is intended as our natural state. All who are in touch with the natural world can sense energies, emotions, and intentions of people and animals. If we listen, we can know. All we need to do is give up being in charge. Knowing inside is not something unusual; it is how we are. All humans can have that connection with All-That-Is. The connection is within us. Happiness is the purpose of life. Our culture, our education, our economy - all human activities - should be meant for that goal. Nothing else.